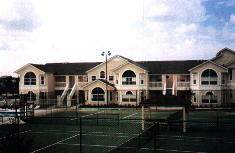 In this page we will highlight other rentals in the Villas at Island Club complex as well as other rental properties in Central Florida. If you have a rental property that you want listed, you have two ways to get it listed here. The first is to follow the "Advertise on this Site" links and go through Google. The second way is cheaper. It's free actualy. All you have to do is link back to VillasAtIslandClub.com on the main page of your rental site. Then just Contact Us and we will will add you to this page right away.